Over the coming months, Barking has many changes coming up to help improve the bus experience for locals. 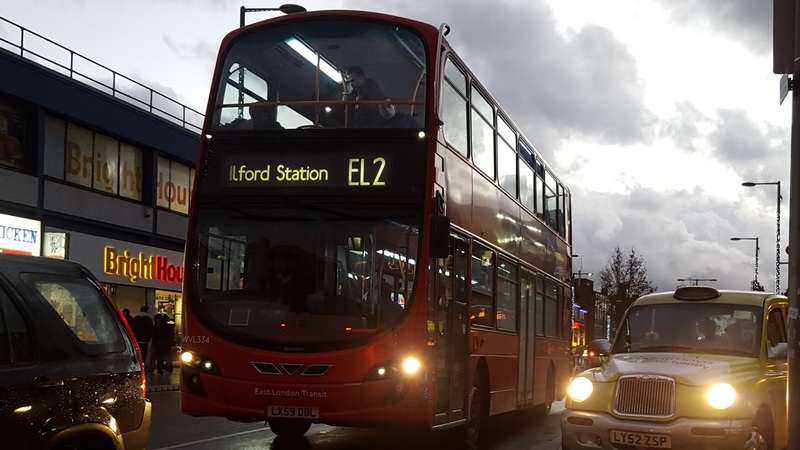 The first of these changes took place on March the 19th and it involved route EL2 being rerouted away from Ilford and being extended to Becontree Heath in order to help out route 5. 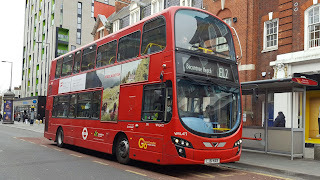 Route EL2 is part of the greater East London Transit scheme. A bus rapid transit system that was originally proposed by Ken Livingstone and carried out under the power of Boris Johnson. 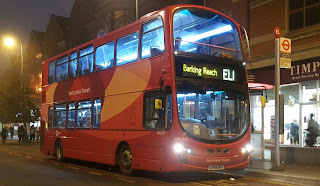 The initial phase involved route EL1 which at the time ran between Barking, Thames View Estate and Ilford Hill, with route EL2 following the exact same route but running an extra few stops to Dagenham Dock. This move facilitated the withdrawal of route 369 which ran between Thames View Estate and Ilford, Hainault Street as well as the partial withdrawal of route 179 between Ilford and Barking. The whole system has been extremely controversial, many people found it useful that Barking had a link to places such as Woodford and Chingford and the withdrawal of the 369 meant that South Barking no longer had a direct service to Ilford Town Centre, with all of Barking being reliant on the 169 only to provide that link. Introducing two rapid transit routes also meant that there had to be many sets of roadworks to improve the road as well as the fact that many stops had to be replaced, causing mass disruption during the construction of the system. Route EL1 and EL2 however did eventually become accepted, and they were very popular routes - You would be lucky to board the first bus that came at Ilford! Therefore it was pretty surprising that in 2015 TfL proposed to reroute a well used and popular service away from the area. However to make up for this they were proposing an increase on route EL1. The main purpose of rerouting route EL2 away from Ilford was to take away strain from the extremely busy route 5, which operates between Canning Town and Romford. 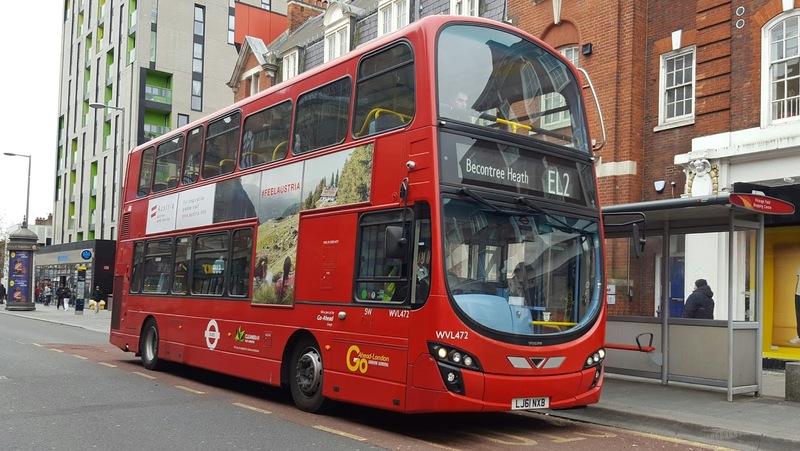 Most people supported the proposal from TfL and on the 19th of March the changes duly took place, with a combined PVR increase of around 15 on each of the ELT routes. Route EL1 had its frequency increased to every 6 minutes once and route EL2 had its frequency increased to every 8 minutes once. The new extension came with the buses being fitted with brand new White on Black blinds, specified to the new standard. For the PVR increase Go Ahead "borrowed" some WVL class buses from Stockwell (SW) route 249 and sent them out on the ELT. Those buses do not have any ELT branding at the time of writing. The extension itself has already started to gain popularity among the average commuter. Like most extensions it was lightly used in its first few days, with many people wondering if the bus was lost or passing up the EL2s to wait for 5s in the worry the EL2 may not go where they want it to go. 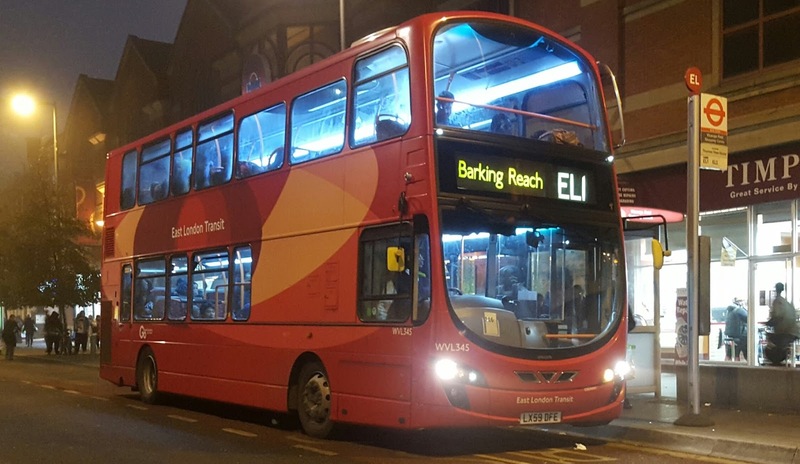 However now any people have discovered the EL2 parallels a lot of the 5 you will occasionally see buses taking up a healthy load at Barking station ready to take people home after a long day at work. Below you can find a video of WVL454 along part of the new routing on the first day of the new route being operational. However all extensions and changes to routes do not come without faults, the new route included using Becontree Heath Bus Station for stands, however existing route 150 uses this bus station almost to full capacity sometimes. On the first day many buses had to stand on the main road due to there being no space to stand in the bus station. However over time I can imagine the issues will start ironing out as the operation of the EL2 starts to settle down and the 150 starts to discover that the 10 years of having its own bus station are over! Hopefully the extension/reroute of the EL2 sorts out the overcrowding on the 5 as time progresses and hopefully many more people find use for it in the forthcoming months. That concludes this post, however stay tuned for Part 2 of "Barking Mad" as we explore more of these service changes. Make sure you leave a comment below if you have any questions, and make sure to answer the poll below!